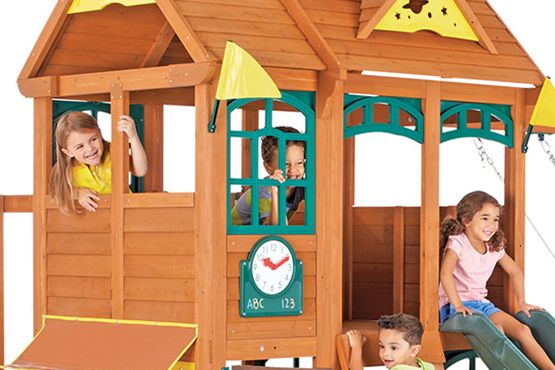 Our children's cubbies are designed to look beautiful and provide your children years of fun imaginative and creative play. 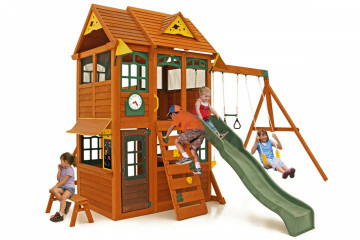 Suitable for children aged 3-12yrs of all abilities. 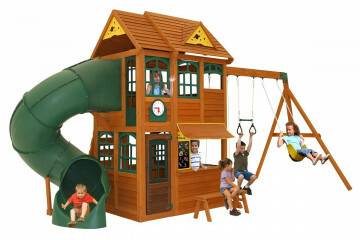 Our play equipment includes a central fort with a elevated and/or lower cubby house. 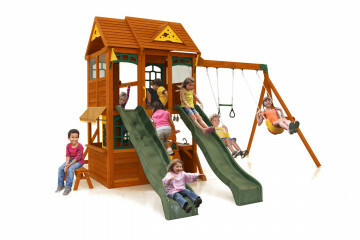 Some also include slides, swings, monkey bars and rockwalls. 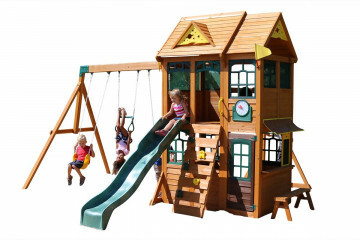 Elevated Cubby Houses offer children the ultimate lookout tower, so they can wave down to mum and dad from their windows up high. 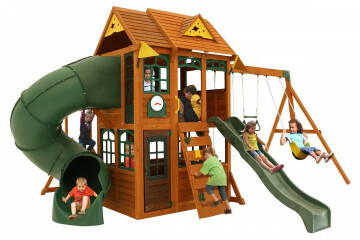 For children the thrill of being so high is very exciting, enhanced further by the access to the slide(s), rockwall, and monkey bars. 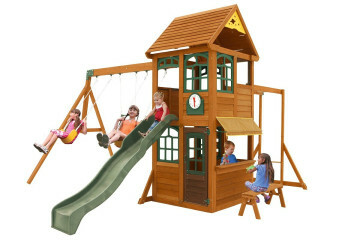 We want to help you find the perfect play equipment for your family, your garden and your budget. 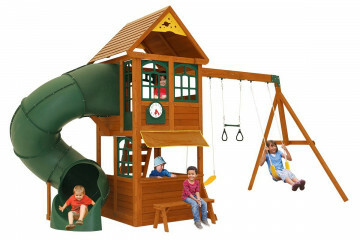 We're available via Live Chat (or email messaging) to help answer your questions. 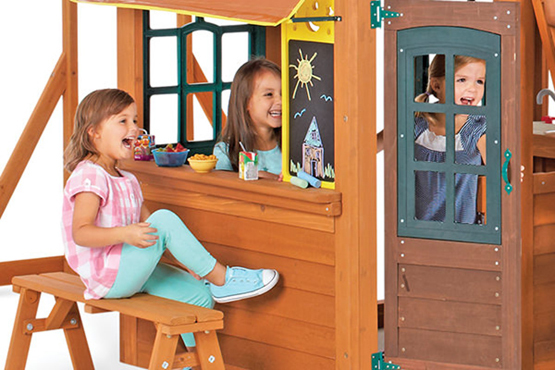 Let your kids imagination run wild with their own cubby. 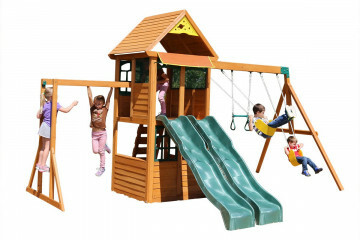 They'll have years of fun with our wooden play equipment. 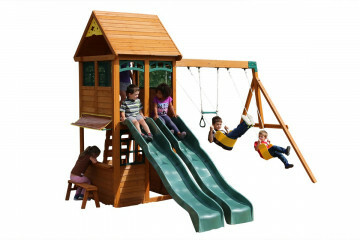 We offer a range of slides (straight or tube), swings and climbing accessories, such as monkey bars or rockwalls. 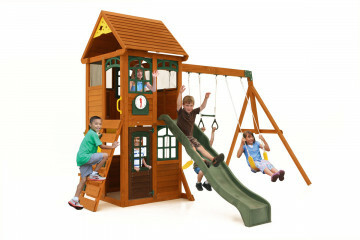 Our garden cubby houses are great for social interaction and child development. 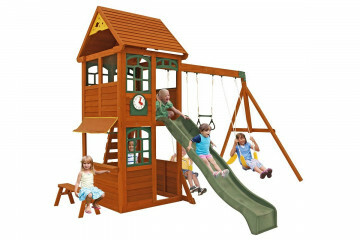 They enable children to interact with friends and sibling, whilst helping them boost their confidence with exciting and challenging accessories.